Since the time of the Apostles the catching up of the saints to meet the Lord Jesus in the air at His Second Coming has been the blessed hope of every true believer down through the history of the Church. The blessed hope in its broader application primarily is not exclusively applied to the rapture nut to the Second Coming of our Lord Jesus Christ to earth. Paul the apostle had a blessed hope and yet he lost his head. The blessed hope in the Bible does include the rapture but also the Second Coming when the rapture and resurrection will occur simultaneously. To deny or to teach against the rapture itself is to deny a source of comfort to believers everywhere especially to those suffering persecution. One of the reasons the Lord allows us to suffer in this life and to undergo trials and tests of various kinds is to prevent us from becoming too attached to this world. Furthermore, with persecution looming on the horizon for Christians in the western democracies perseverance is a must if we are to spiritually survive what is coming. The troubles, trials and afflictions we experience now are preparing us for the trials and afflictions to come. It may well be that this generation will see the advent of the Antichrist with his Beast system of government and the world-wide persecution of all true believers in Christ. When I was conscripted into the army in 1969 they never promised me that I would not have to fight and possible be wounded or killed. At the time the Vietnam War was well underway. Fortunately, God spared me from Vietnam yet many who were conscripted like me had to go and to fight and some came back severely wounded and others did not come back at all. We are not guaranteed that we will escape persecution but we are guaranteed that we will experience the rapture and resurrection when our Lord Jesus comes back. When we fully surrender our allegiance to the Lord Jesus Christ through repentance and faith in Him God Himself enlists us into His army. Through the new birth He gives us the weapons and armour we need to fight the battle in the person of the blessed Holy Spirit. In Ephesians we are commanded to be filled with the Holy Spirit continuously, moment by moment. It is a command and not an option! (Ephesians 5:18) Only when we open ourselves up to being filled with the Spirit and to the gifts of the Spirit will we be successful in the spiritual battles that lay ahead of us in the Christian life. Only in His power and strength can we ever hope to survive the coming persecution. Indeed God says in His word that, “When the enemy shall come in, like a flood the Spirit of the Lord will raise up a Standard (war banner) against Him.” And again it is written, “Not by power or by might but by My Spirit says the Lord.” And again it is written, “If you are insulted because of the name of Christ, you are blessed, for the Spirit of glory and of God rests upon you.” Today there are those in the Kingdom Dominion Camp who are teaching that there will be no rapture but what they are teaching goes against the clear and unmistakable teaching of God’s Word. I understand that two of these men are Gerald Coates and Rick Joyner. Having said these things we will now look at the arguments and the texts used by the proponents of a Pre-Tribulation Rapture and see if the texts they use are teaching such a doctrine. 1. Their first line of defence is to say that God is a loving God and would never allow His children to suffer through the Great Tribulation. So they say that the Church will be leaving before the Great Tribulation occurs. Now God is and has always been a loving God. In fact He is love (1 John 4:8 4:16). However, His ways and His thoughts are not like ours. He sees things as they really are. Indeed He says of Himself; “For My thoughts are not your thoughts, neither are your ways My ways,” declares the Lord. “As the heavens are higher than the earth, so are My ways higher than your ways and My thoughts than your thoughts.” (Isaiah 55:8-9) When you look at the Bible and the history of the Church God allowed multitudes of His most devoted servants and followers to be severely persecuted and martyred. In this century and last Century untold Millions of Christians have been tortured and killed because of their stand for Christ. Many today in Islamic countries are being brutally tortured, mutilated, imprisoned and killed for the name of Jesus. In Jezebel’s Time in the Old Testament many of the prophets were summarily executed by her. In the New Testament we have martyrs like John the Baptist, Stephen, James and Antipas. Also Paul and Peter suffered martyrdom under Nero. Tradition says Peter was actually crucified upside down. The other apostles apart from John were also brutally killed. John himself was tortured but survived. The word used for “saints” both in Daniel and in Revelation is the standard word used in the New Testament for Christians. God will allow the power of the holy people to be broken, however, as the texts show God will also bring about a total victory for His people. Notice when the saints possess the Kingdom. It is only after the defeat of the Antichrist and not before. The Kingdom Now, Kingdom Dominion proponents would do well to consider these and other scriptures. So then a loving God allows His faithful servants to suffer. Why would He of necessity spare them in the Great Tribulation? Can the Antichrist do any worse than what is being done to Christians today? The only difference is that the persecution will become a global phenomenon. In almost every country of the world Jesus faithful followers will be persecuted to a greater or lesser degree. It is my conviction that this generation will see millions beheaded for their faith. May we know the grace and the mercy of our Lord Jesus Christ when it comes and come it will. 2. Their Second line of defence is to say that Jesus Himself promised that He would keep the Church from the hour of trial coming upon the whole world so they imply that Christians will be delivered from the Great Tribulation period. Now the Greek word found in Revelation 3:10 and translated “keep you from” is also found in (John 17:11 and 17:15) and can mean “keep through.” When the Lord Jesus was praying in the garden for His followers he prayed that God would keep them through His name. He also prayed that God would not take them out of the world but that He should keep them from the evil one. They were to be kept in the world and even though they were kept safe spiritually all of them except John were martyred. In the Great Tribulation some will escape. They will be miraculously delivered from the Antichrist’s Beast Kingdom; however, for the majority of believers during this time they will be faced with the choice of submission to the beast system of government or beheading. If we continue to trust God to take us through the trials and difficulties we face in this life then He will enable us to pass through this time of extreme testing when it comes. Also it is helpful to keep in mind the experience that Daniel went through in the Lion’s den and what Shadrack, Meshach and Abednego went through in the fiery furnace. God did not spare them the den or the furnace. God was with them in those places. In their case they were physically delivered but they still went into the den and into the fire. In the case of the three Hebrews they had already received God’s deliverance in their hearts. Live or die they would not renounce their God. Listen to what they said to King Nebuchadnezzar (a type of the Antichrist to come) “Shadrach, Meshach and Abednego replied to the king, “O Nebuchadnezzar, we do not need to defend ourselves before you in this matter. If we are thrown into the blazing furnace, the God we serve is able to save us from it, and He will rescue us from your hand, O king. But even if He does not, we want you to know, O king, that we will not serve your gods or worship the image of gold you have set up.” (Daniel 3:16-18) May the Lord grant us such courage when the time comes! As long as we do our part God will do His part because He is faithful. As born again believers in our Lord Jesus Christ we have our part to play. We are to patiently endure, obey God’s commandments (the Word of God) and remain faithful; to Jesus regardless of the cost. Indeed we will be amongst those of whom it is also written; “And they overcame him (Satan) by the blood of the Lamb and by the word of their testimony, and they did not love their lives to the death.” (Revelation 12:11) The overcomers are clearly Christians. 3. Their Third line of defence is to say that after Revelation 4:1 we see no more reference to the Church. They say that when God said to John “come up here” that this symbolised the rapture of the Church consequently Christians will not go through the Tribulation. There are many types of the final rapture to come in the Bible (See “Types of the Rapture” on this website). People were raptured throughout the Bible and all of them teach us something about the ultimate Rapture. Here in the text John is also raptured or caught up into heaven, however, this text cannot be used to prove a Pre-Tribulation Rapture. The Pre-Tribulation proponents say that John’s rapture symbolizes the rapture and the end of the Church Age and say that the Church does not appear after Revelation chapter four. However, while the word Church is not mentioned there are references to the Church after this verse. John uses the word “saints” being the standard Greek word used for Christians in the New Testament. We see where the Beast Kingdom “is given power to make war against the saints.” (Revelation 13:7) Again we read, “This calls for patient endurance and faithfulness on the part of the saints.” (Revelation 13:10) And yet again we read, “This calls for patient endurance on the part of the saints who obey God’s commandments and remain faithful to Jesus.” (Revelation 14: 12) Also as a cross reference we see the dragon (Satan) making war on Christians as well as Israel. “Then the dragon was enraged at the woman (Israel) and went off to make war against the rest of her offspring—those who obey God’s commandments and hold to the testimony of Jesus.” (Christians) (Revelation 12:17) Notice the connection with the saints of whom we are told, “obey God’s commandments and remain faithful to Jesus.” The Pre-Tribulation proponents would say well these are tribulation saints, (those who missed the rapture but are saved during the Tribulation) however, it is an opinion based on their particular system of Eschatology and not on the clear teaching of the Word of God. Another reference to the term “come up here” is found in Revelation chapter eleven verse twelve. “Then they heard a loud voice from heaven saying to them, “Come up here.” And they went up to heaven in a cloud, while their enemies looked on.” The two witnesses of Revelation were raptured after their slain bodies had lain in the street for three and a half days. (The three and a half days possibly corresponds to the three and a half years or as Daniel said, time, times and half a time.) The rapture of the witnesses comes after the three and a half days and not before. Notice what follows their rapture. 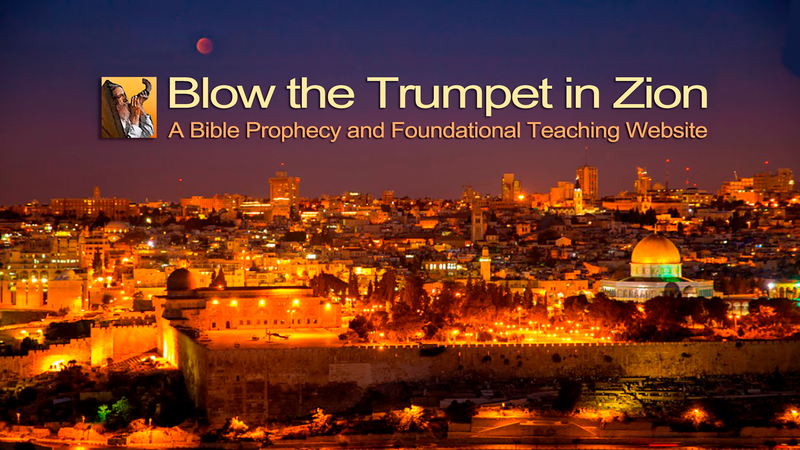 It is the seventh trumpet announcing the Second Coming of Christ. Look at the text itself. “The kingdom of the world has become the kingdom of our Lord and of His Christ and He will reign forever and ever.” (Vs.15) The rest of the text supports this truth. “And the twenty-four elders, who were seated on their thrones before God, fell on their faces and worshiped God, saying: “We give thanks to you, Lord God Almighty, the One who is and who was, because you have taken your great power and have begun to reign. The nations were angry; and your wrath has come. The time has come for judging the dead, and for rewarding your servants the prophets and your saints and those who reverence your name, both small and great— and for destroying those who destroy the earth.” (Vss.16-18) Clearly this is the Second Coming of Christ to establish his Kingdom on earth. 4. Their fourth line of defence is to say that Lot was taken out of Sodom before it was destroyed and Noah was in the ark before the flood. There is no doubt that Christians will likewise be delivered from God’s wrath through the rapture as Noah and Lot were delivered from God’s wrath. In the case of the flood and in the destruction of Sodom and Gomorrah we have a picture of the wrath of God which will come upon the whole world at the end of this age. The primary emphasis of this passage of scripture in Luke and the verses that follow is upon the judgement of the wicked. In the case of Noah the people in the world he lived in were just going about their everyday lives oblivious to the impending wrath of God and furthermore not even concerned about repenting of their ungodly lifestyles and turning to God. Noah was a preacher of righteousness and the people would not listen to his preaching. Undoubtable he compelled them to come into the ark of salvation that God had provided but they refused to come in and be saved. People just went on their merry way eating, drinking, marrying, giving in marriage and conducting business as usual. In the case of Lot we see that people were living immoral lives and the conspicuous feature of Lot’s time was rampant, aggressive and violent homosexuality. This is the kind of world we live in today. Notice the context of the following verses (Vss.31-37) “On that day no one who is on the roof of his house, with his goods inside, should go down to get them. Likewise, no one in the field should go back for anything. Remember Lot’s wife! Whoever tries to keep his life will lose it, and whoever loses his life will preserve it. I tell you, on that night two people will be in one bed; one will be taken and the other left. Two women will be grinding grain together; one will be taken and the other left.” “Where, Lord?” they asked. He replied, “Where there is a dead body, there the vultures will gather.” Notice the disciples asked where they were taken? The Lord Jesus answered by referring their dead bodies and vultures being gathered there. This refers to the wicked people and not the righteous. Notice the parallel passage in Matthews’s gospel. If we compare the two accounts recorded in Luke and Matthew we see certain things. Notice the two phrases in Luke’s account, “Up to the day Noah entered the ark.” And also, “But the day Lot left Sodom.” As soon as Noah was in the protection of the Ark the deluge came after seven days. The same day Lot was snatched away from Sodom the fire fell from heaven. They were both in the world right up until the day of wrath came and then were saved from it. Finally, the emphasis is these passages of scripture in Luke and Matthew is not on the Lord Jesus coming as a thief in the night to secretly rapture the Church but on being prepared for His coming and staying alert so that we can be ready for Him when He comes at an hour that we do not expect Him to come. The emphasis is not on a “secret” coming but on the expectancy of His coming. In the case of the wicked in Noah and Lot’s time they were overtaken and swept away by the flood and the fire unexpectedly and this is the emphasis on the idea that the Lord Jesus is coming “as a thief in the night.” He will come when He is least expected! Paul the apostle also placed the emphasis on Jesus coming when He will be least expected. Coming as “a thief in the night” has nothing to do with a secret rapture! In closing this study, notice that Paul tells us that “God has not appointed us to suffer wrath but to receive salvation through our Lord Jesus Christ.” No genuinely born again, blood washed child of God will ever be faced with the wrath of God. When God unleashes His judgements it is to bring about correction, however, when He exercises His wrath there is no reprieve. To sum up this study we can say on the authority of scripture that the Rapture will happen, however, it will not be a pre-tribulation one neither will it be a secret one!